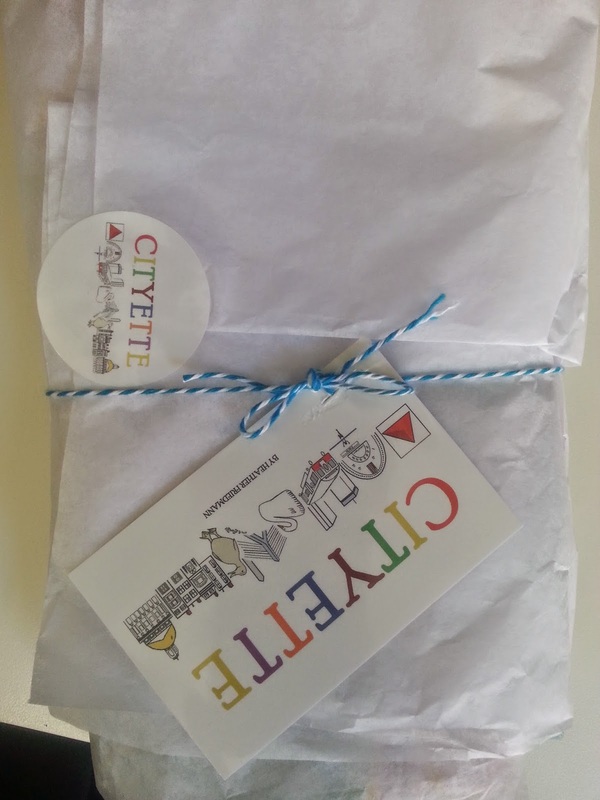 cityette - ABC Boston: Shipping to Los Angeles! In addition to our neutral linen backing, Cityette now offers a striped backing and a tomato-colored backing on its Boston watercolor map fabric pillow. Our first pillow with tomato-colored backing is shipping off today to its new home in Los Angeles. We love spreading the Boston love cross-country! 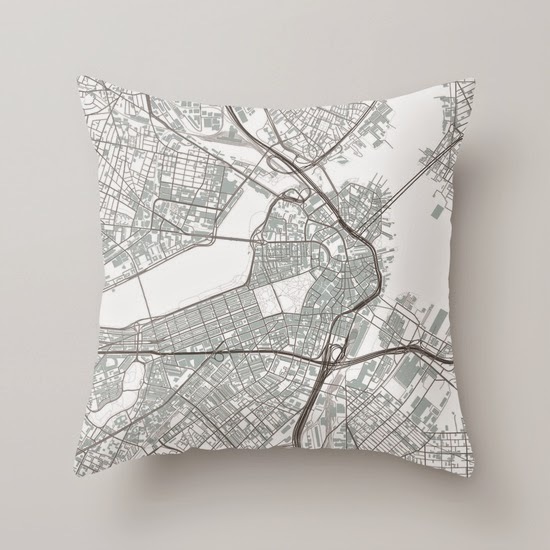 If you're a bit color-shy or looking for a quieter décor option, check out Cityette's grey mapping pillow (see below). 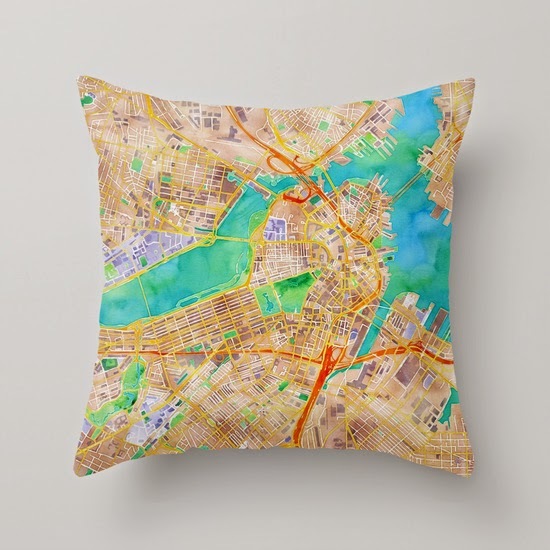 The more vibrant of the two, the watercolor map fabric pillow is also shown for a side-by-side comparison. 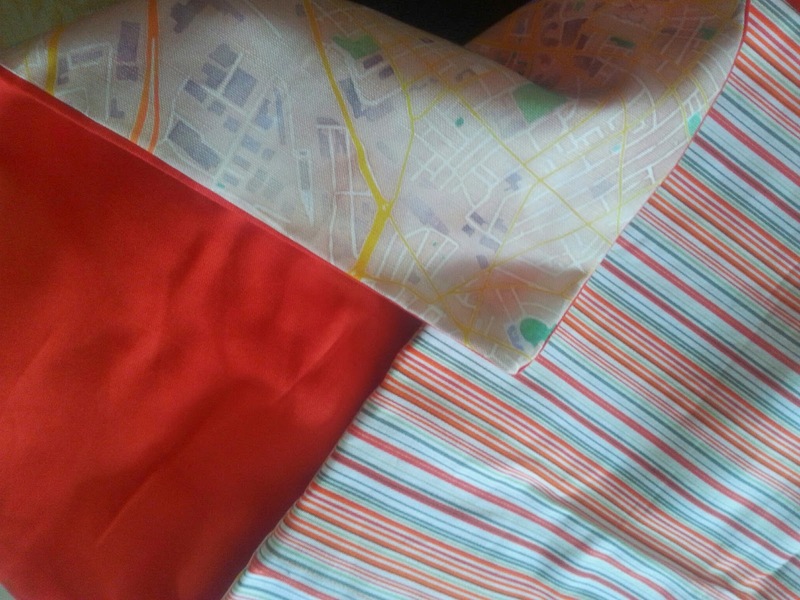 Actually, the watercolor map fabric prints a little less color intense (see snippet above in the backing choice photo for a more accurate rendering of color).